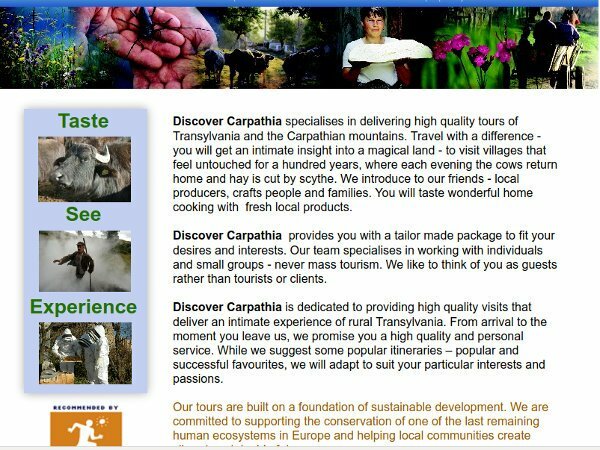 Tailor-made, high-quality tours of Transylvania and the Carpathian mountains, for individuals and small groups. Visit villages that feel untouched for a hundred years, where each evening the cows return home and hay is cut by scythe, taste wonderful home cooking. Be introduced to our friends - local producers, craftspeople and families. We like to think of you as guests rather than tourists or clients. We are committed to supporting the conservation of one of the last remaining human ecosystems in Europe. A percentage of the cost of your holiday is directed straight to local community projects.